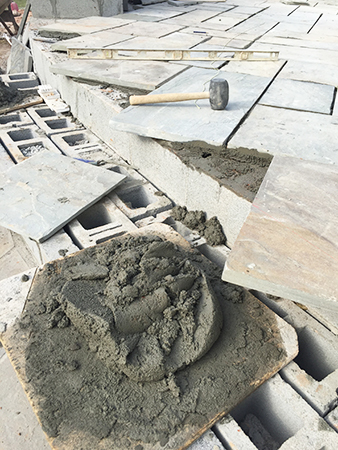 Marshall Stone places our customers first and we will work with you based on your unique situation to provide the very best services and materials for your project possible. Whether you need assistance finding an insured contractor or mason, are already working with a builder or contactor and need materials selection assistance or you’re a DIY’er that needs help planning their project or ordering materials; we’re here to help. Marshall Stone works with a network of insured contractors and masons. We can provide referrals for contractors that meet the scope of your project. We then follow-up with you to answer any questions and provide any additional assistance you may need. You can buy your materials direct from us and then subcontract your labor for added reassurance. Building a new home or already have a contractor? We will work with your builder or contractor to select the materials that fit your design preferences and budget. Just let us know who you’re working with and we’ll schedule a time for a materials selection consultation in either our NC or VA showrooms. 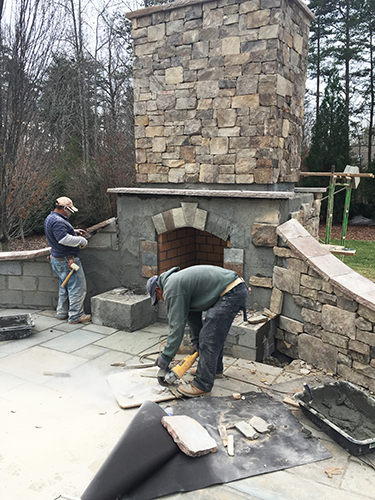 Homeowners and DIY’ers have consistently found Marshall Stone’s project assistance invaluable when conquering that new kitchen, bathroom, fire pit, patio or other home renovation. We have countless displays in our two showrooms in Colfax NC and Rocky Mount VA that display today’s best designs, products and layouts. Marshall Stone’s experts can provide you with an estimate of how much material you will need for your project and make recommendations on types of stone, design and layouts. Simply complete the form to the right and select the installation assistance you need and we’ll be in touch to get your project started. No project too big or too small. Contact us about your project.